While Khloé Kardashian wasted no time in asserting her single status after reports Monday said she broke up with James Harden, her estranged husband Lamar Odom may soon be able to move out of her house. A Tuesday report by TMZ said Odom had recovered miraculously from his drug overdose last October. Odom, who suffered 12 strokes, was found unconscious in a brothel in Las Vegas and was later in a coma. He was moved to Los Angeles’ Cedars-Sinai Medical Center where he recovered from his condition. After his release from the center on Jan. 6, he reportedly moved in to Kardashian’ house so she could take better care of him. On Sunday, Kim Kardashian posted a photo on Instagram saying she went hiking with Khloé and Odom. The TMZ report said despite being “a bit slow,” Odom’s cognitive and motor functions had returned significantly, from the stage of not being able to speak or walk at all earlier. 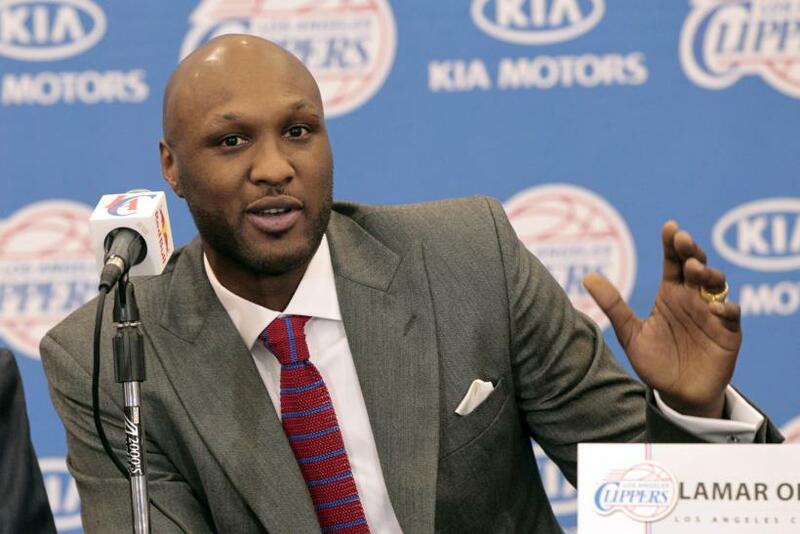 Odom is now able to process thoughts, is able to say them out loud and have conversations, according to TMZ. His trouble with recognizing family members had also improved, though the report said the former Los Angeles Lakers player still has memory lapses and subtle issues speaking at times. The report added that Odom’s goal was to run again, and that he believed he could play basketball again. As Odom is on his way to a full recovery, speculations began if he was the reason behind the breakup between Khloé and Harden, which reportedly happened weeks ago. However, a report by Us Weekly cited a source to say that despite their close relationship, there was nothing romantic between them. “She just wants the best for him,” the source said. Khloé is still married to Odom after cancelling her divorce during his health crisis.